It should be no surprise to both readers and writers that often a story will take turns not originally expected by the author. I�ve had this happen, but never so much as with my BLACK CITY SAINT series. Here, then, are the five that caught me most off-guard. 1) Minor characters who refused to be so minor - It�s nice to have a world populated by more than just the main characters. Each novel has its share of minor ones who, hopefully, give it more depth. One of the earliest was Barnaby, who was meant to be someone who Nick had helped, and so provided him with occasional transportation. Then I began to think about why Barnaby had needed Nick�s help, which brought in another supposedly minor character --- Joseph, Barnaby�s son, and a very bad egg who had run afoul of Nick. Suddenly, the history of this pair turned the storyline I was working on in an utterly different direction. Joseph�s secret involvement with the Wingfoot Express airship disaster and how Barnaby now sought to help his son, currently a resident of the Dunning mental facility, have become essential elements of the series. 2) History lending a hand to the plot after the fact - When I started the first novel, I knew the basic history of Nick and friends leading up to the story. Naturally, the dragon had to be involved in the Great Fire, but as I researched Chicago after that, I came across the Wingfoot disaster. It not only fit perfectly into what I was trying to do but became very relevant to the entire saga. History wasn�t through yet. As I worked to give the mid- 1920s setting depth, I came across other events that made perfect sense linked to the ones I�d already incorporated. They led me to others. I ultimately discovered my characters had a lot more going on in their lives out of scene. History has continued to add unexpected elements to the series that seem like they were always meant to be there. It happened in BLACK CITY DEMON, too, and happens in spades in BLACK CITY DRAGON, as you�ll see. However, the dragon has also transformed into a character every bit as complex as Nick or Claryce. Dangerous, yes, but with a hint of tragedy. His snide comments often mix with frustration that he can do nothing unless Nick allows it. Despite his clear menace, the dragon has become a fan favorite --- and among this author�s favorites as well. 4) Fetch is complicated, too -� Every hero needs a sidekick and Fetch was originally designed for just that, while also adding some comic relief. I think he fills that role well, but this poor shapeshifter from Feirie, who owed Nick his life, soon began taking on a darker side as well. Her is described loosely by Nick as looking like �part greyhound, part wolf� and is unable to transform into his true self in the mortal world. Fetch seems like Nick�s loyal hound, but, once, his loyalty lay with Feirie. Fetch had been sent to kill Nick. He is also still subject to temptation. His true history is slowly unfolding, showing that he has many burdens he never told Nick about...which could get Nick, Claryce, and him killed. 5) The Wyld ain�t so bad - As you can see, a lot of the surprises were character-driven. One that I never expected was to have any sympathy for the Wyld, as the Feirie creatures slipping into Chicago are called. While many are dangerous, we�ve seen that some are fleeing for their lives ahead of Her Lady�s purge of any who still may have some loyalty to her ousted husband. In will mean some more soul-searching for Nick. If he doesn�t kill them, does he send them back...where they�ll likely be killed? There will always be those Nick and company must put down, but when I first put together the idea, I never thought this particular turn would happen. I like to think it�s a good thing that the series can keep surprising me. I hope that means it stays fresh for the reader, too. For sixteen hundred years, Nick Medea has guarded the gate between our world and Feirie, preventing the Wyld--the darkest Feirie of all-- from coming into Chicago to find human prey. But since he defeated Oberon, more and more Wyld have been slipping through. Nick and his Feirie companion, the shapeshifter, Fetch, have been busy hunting them down. 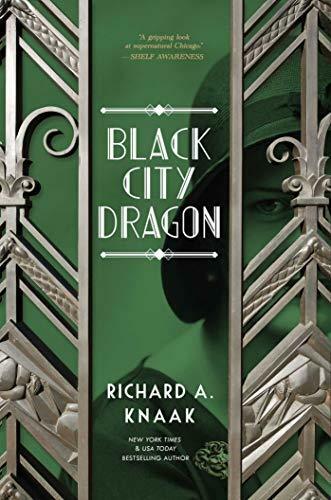 Richard A. Knaak is the New York Times bestselling author of some three dozen novels, including the The Sin War trilogy for Diablo and the Legend of Huma for Dragonlance. 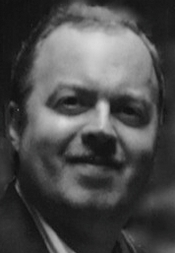 He has penned the War of the Ancients trilogy, Day of the Dragon and its upcoming followup, Night of the Dragon. His other works include his own Dragonrealm series, the Minotaur Wars for Dragonlance, the Aquilonia trilogy of the Age of Conan, and the Sunwell Trilogy -- the first Warcraft manga. In addition, his novels and short stories have been published worldwide in such diverse places as China, Iceland, the Czech Republic, and Brazil.